Commenting on the tragedy of the Holocaust, Rabbi Shlomo Carlebach once said, “It’s not just the number six million. We lost so many holy people”. These words kept circling in my mind the last few days . . . “It’s not just the number – we lost so many holy people”. The media reported: “4 people murdered in two terrorist attacks“. It’s not just the number. We lost magnificent people. Many may have read about Rabbi Eitam Henkin, of blessed memory, who was shot together with his wife in front of their little children. He was a first-class scholar of Torah and history. He was following in the illustrious footsteps of his grandfather, father, and mother. Eitam, just 30 years old, had already established himself as a rare talent and a highly respected rabbinic personality. His talented and creative wife Naama, of blessed memory, also killed at point blank range, was a highly regarded graphic artist who was described as being wise beyond her years. Together they were parents, raising their beloved children in a community devoted to Torah learning and to kindness. They were raising their children to be Jews filled with immense pride in our people and to be the next builders and leaders of our nation. 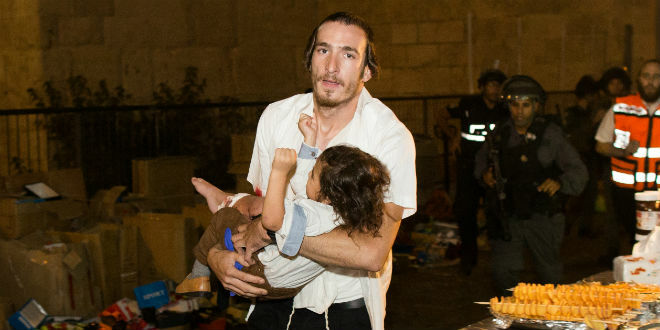 A second terrorist attack two nights later in Jerusalem. He heard the commotion. He could hear that someone was being attacked. Rabbi Nechemia Lavi, of blessed memory, a father of seven, quickly ran to help – putting his own life in danger. The terrorist turned and attacked him. He saved a woman and her baby – his life was taken. Rabbi Nechemia Lavi served as an officer in the Israeli Army. 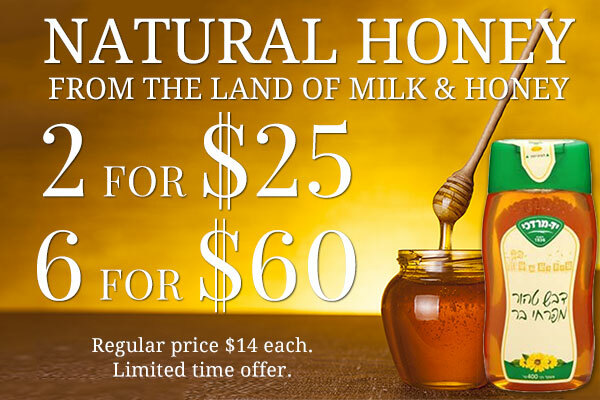 He considered this a mitzvah (Biblical commandment), a religious duty and an honor. He taught Torah each day in the Old City of Jerusalem. The picture published in the media of the other murdered victim of the stabbing that night shows a man in traditional Chassidic garb. Aharon Banita-Bennet, of blessed memory, was a member of the Breslov Chassidic community. He also served in the Israel Defense Force. He was a Jew devoted to prayer and Torah study. A Jew devoted to his people and fulfilling his duty to the State of Israel. We lost people of nobility. We lost people of exemplary kindness and piety in the way they lived their lives. We lost precious people who gave of their enormous talents each day to increase wisdom and goodness in Israel and in the world. Each one was special. They were Jews of exceptional devotion to the land of Israel and to the people of Israel. They represent the very best of our nation. Our team, the Jewish People, is no longer at full strength. Our light has been diminished. Its not just the number – we lost extraordinary people. 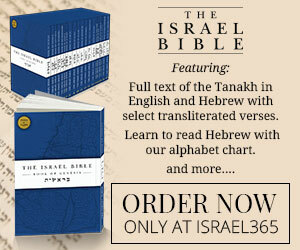 The Torah portion of ‘Bereshit’, Genesis, famously describes the creation of man. Rashi comments on man’s creation and beautifully captures this sentiment (Genesis 1:27). When an object is being mass-produced each one is identical to the other. However, this is not the way God creates mankind. Each person is ‘hand made.’ There is not one person identical to the next. Every person is one of a kind. Four children have lost their parents. Nine children have lost their father. Four sets of parents lost their children. 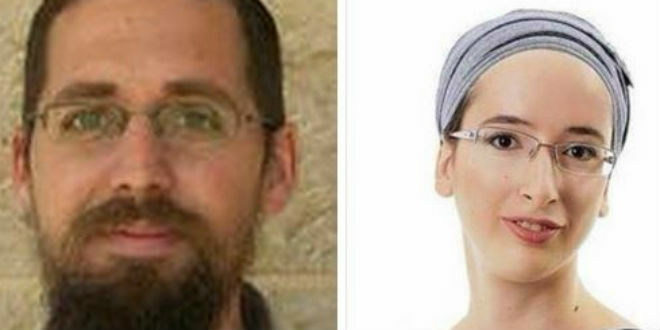 I stood together with ten thousand others at the funeral of Eitam and Naama Henkin. Every person present experienced that morning in his or her own way. I experienced the funeral as a parent who has also lost a child. The pain is overwhelming. Life is never the same again. Unlike any other experience of death – when a child dies a parent feels unbearable pain because only a parent knows how much their child was meant to bring to the world. The joy and love they were meant to give and receive has brutally been ripped away. Their life was a world that can never be replaced. Why should they not have had the opportunity to live their lives? No one feels this excruciating sense of loss as painfully as a parent. No one is as hopeful and optimistic as a parent is for his or her child. Unfortunately, when a parent loses a child, a parent is struck with this notion: a soul is irreplaceable. The joyous holiday season has come to a close. The families of the victims enter the week of mourning; parents, siblings, children and wives sit shiva. They will spend the days ahead talking about their loved ones. They will be at a loss for words trying to describe the unique and extraordinary people they were; and what they could have been, if not for these acts of evil. The heart of the entire Jewish people is broken. We as Jews know that it is not just the number – it is not “four people murdered.” Each person we lost is irreplaceable. Rabbi Aaron Goldscheider received his rabbinic ordination from Yeshiva University in 1993 where he also studied Jewish philosophy. Since then he has devoted his life to teaching Torah. For the past twenty years he has served as a synagogue rabbi in Florida and in New York. Currently he is affiliated with the In Our Hearts project, a resource to help families in the Jewish community who have lost children. Rabbi Aaron Goldscheider received his rabbinic ordination from Yeshiva University in 1993 where he also studied Jewish philosophy. Since then he has devoted his life to teaching Torah. For the past twenty years he has served as a synagogue rabbi in Florida and in New York. Currently he is affiliated with the In Our Hearts Project (www.inourheartsproject.org,), a resource to help families in the Jewish community who have lost children. 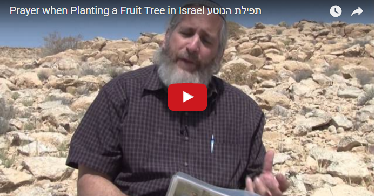 Video: What is the Prayer Over Planting a Fruit Tree in Israel? 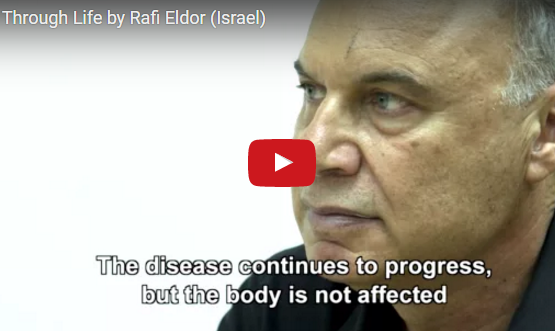 Video: What is it About Torah Study that Shapes the Jewish Mind to be So Innovative?